The Australian Catholic Bishops Conference today appointed Canberra Educator Donella Johnston as the Director for the Office for the Participation of Women (OPW) and as the Executive Secretary to the Bishops’ Commission for Church Ministry (BCCM). The position was designed by the Bishops’ Conference over 10 years ago to foster the participation of women in the Catholic Church. 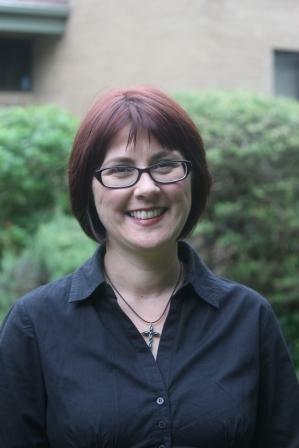 Donella comes from an education background, having worked as Religious Education Coordinator at Canberra Catholic college St Francis Xavier in Florey. She has also shown leadership on various Archdiocesan commissions as well as at a local parish level. Donella brings to the role a high level of tertiary theological study and has a Masters in Religious Education from the Australian Catholic University. Chair of the BCCM Bishop Brian Heenan is delighted to welcome Donella to the position of Director. “Her vibrant personality will be a great asset to her in the varied tasks associated with this position and I have every confidence in her capacity to engage with the Catholic people of Australia in this role”, he said. Donella is enthusiastic about starting in this role in the coming weeks and hopes that she will be able to make a difference. “Jesus’ simple Gospel message of unconditional love underlies my whole work ethos. I hope to communicate these values in my work as Director of the OPW”, she said. “The Director of the OPW is an exciting and challenging position. I have a sound understanding of the issues that affect women in the Church and I hope that my experiences of leadership in Catholic education will well-equip me for this new challenge”, she said. “I also would like to pay tribute to the work of former Directors Therese Vassarotti and Kim Davis who pioneered this sharing of a vision for a more authentic participation that includes and honours the gifts of women in the life of the Church”, she said. This entry was posted in Uncategorized on December 13, 2011 by Mark Wei.